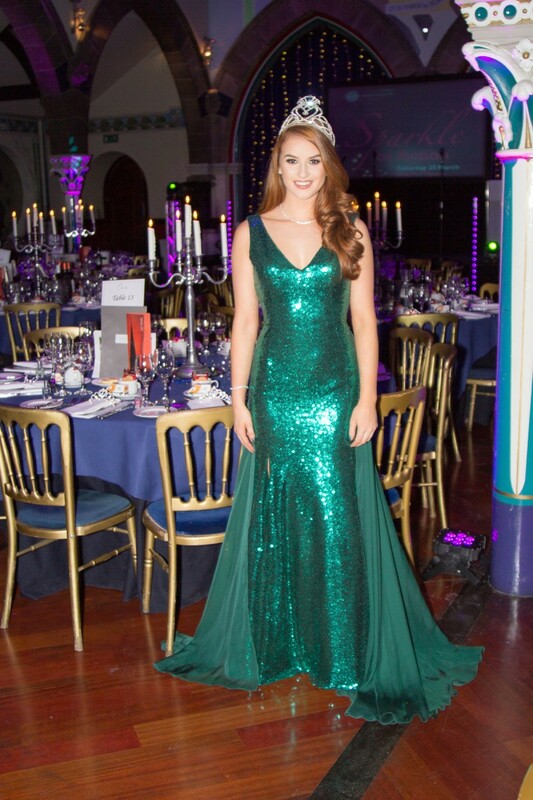 The current Miss Scotland, Lucy Kerr, has helped UK-wide children’s charity Action Medical Research to raise over £21,500 at a special ‘Sparkle for Action’ event in Glasgow. 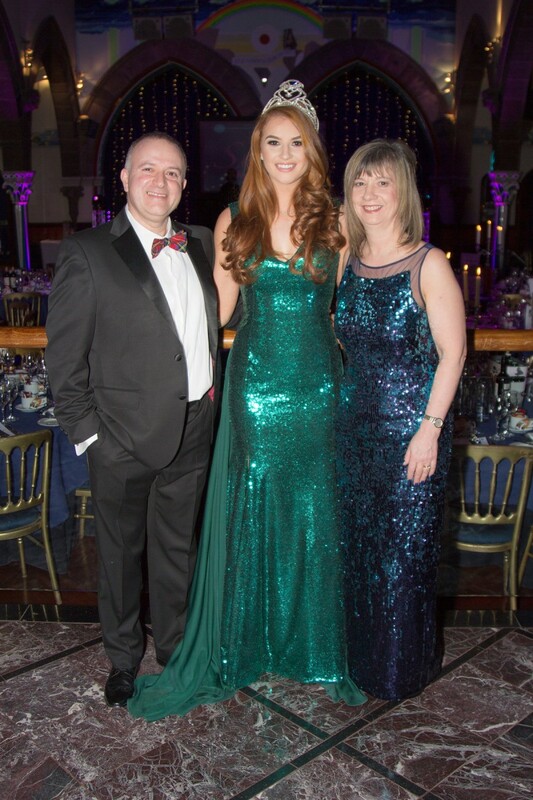 More than 200 people attended the fabulous Oran Mor on Saturday, 25 March, and were entertained with live music from the St Andrews Sisters and a Michael Bublé tribute act. Radio presenters Garry Spence and Paul Harper hosted the event which included a raffle, fun games and auction with some amazing prizes – including tickets to see Ed Sheeran! Around 100 children are diagnosed with a cancer called neuroblastoma each year in the UK.1,2 Most are young – less than five years old.3,4 Although treatment often proves life-saving, it has side effects and doesn’t always work. Sadly, around a third of children lose their lives within five years of being diagnosed with neuroblastoma.4 Professor Robert Mairs, of Glasgow’s Institute of Cancer Sciences, is developing a new combination treatment in the hope of reducing the suffering that’s associated with side effects and saving more children’s lives. Action Medical Research and Neuroblastoma UK are together funding this study. “We’d like to thank Lucy Kerr for supporting Action Medical Research and for everyone who came along to the ‘Sparkle for Action event” says Janet Balcombe, Action Medical Research’s Community Fundraising Manager for Scotland. Photos provided by Jock Brown. Please credit when using. 1. NHS Choices. Neuroblastoma. http://www.nhs.uk/conditions/neuroblastoma/Pages/Introduction.aspx Website accessed 25 June 2014. 2. The Neuroblastoma Society. Home page. http://neuroblastoma.org.uk/ Website accessed 25 June 2014. 3. The Neuroblastoma Society. Neuroblastoma FAQs. http://neuroblastoma.org.uk/families/neuroblastoma-faqs/ Website accessed 30 June 2014. 4. Cancer Research UK. Childhood cancer survival statistics. http://www.cancerresearchuk.org/cancer-info/cancerstats/childhoodcancer/... Website accessed 16 September 2014. Action Medical Research is a leading UK-wide charity saving and changing children’s lives through medical research. For 65 years we’ve helped pioneer ways to prevent disease and develop treatments benefiting millions of people. Our research has helped to beat polio in the UK, develop ultrasound in pregnancy, fight meningitis and prevent stillbirths. But we urgently need to develop more new treatments and cures for sick babies and children and we can’t do it without you.